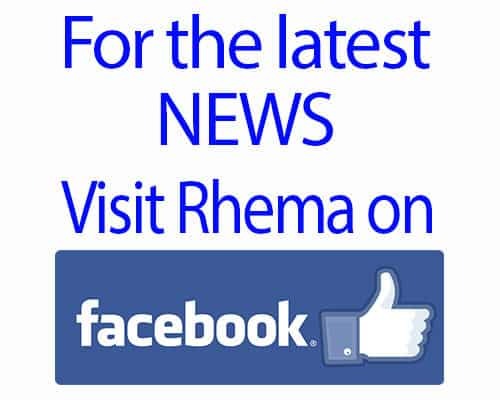 This is an archive site for Rhema from birth to 2016. Our precious little girl, Rhema, was born on 8/9/10 and was diagnosed with severe Myelomeningocele , Hydrocephalus and Clubfoot at birth. Since her birth, our family’s mission has been to boldly proclaim the Lord’s healing & miracles and to be a source of encouragement and information resource to those in similar situations. To get an idea of how Rhema’s journey began, check out this brief video which contains some of the most important highlights of her first year of life. Telling us the possibilities good or bad is fine but if you don’t really know, then don’t speak doom and gloom so matter-of-factly. Please DO tell us what you know about her condition right now so that we can be diligent to address her immediate needs and know how to pray. Taking this position from the start had led some folks to believe that we were just overwhelmed, in shock, in denial of her “true” condition or simply out of touch with the reality of the situation. Honestly, yes, we had to process a LOT of emotions, tears and even a bit of shock at first. This is a human element that if we are sober, cannot be denied and to not go through this process would be denial indeed. As part of this journey we have had a fair share of challenges and even some disappointment from time to time, but more importantly we expect to see miracles, have victories and see other people’s lives changed because of what the Lord is doing in all of us and through us to His glory. We are going to continue to lift up Jesus no matter what our eyes see and believe in His healing power to overcome our challenges while being patient in His timing. We also have enormous support from our immediate family, our beloved church family, pastors and wonderful people around the world like YOU who have been instrumental in encouraging us and helping to provide for our physical and spiritual needs during this time. We are both humbled and grateful at the response and support that has been given. THANK YOU! To learn more about how you can help, check out her DONATE page. Simply put, a Rhema Word is the literal utterance or “spoken” word of God. For example, Matthew 4:4 says “Man shall not live on bread alone, but on every word that comes from the mouth of God.” That “word” that it is referring to is the Rhema Word. We believe it is only fitting that we share some of the Rhema that came to us through certain scriptures as we were processing the whole situation. THROUGH OUR FAITH (PERCEIVED FACT NOT REVEALED THROUGH TO OUR SENSES) WE HAVE CONFIRMATION AND ACCESS TO WHAT IS POSSIBLE THROUGH OUR LORD JESUS CHRIST. NOW FAITH is the assuranc e (the confirmation, the title deed) o f the things [we] hope for, being the proof of things [we] do not see and the conviction of their reality [faith perceiving as real fact what is not revealed to the senses]. WE OVERCOME THROUGH OUR TESTIMONY BECAUSE WE HAVE BEEN REDEEMED BY THE BLOOD OF OUR LORD JESUS CHRIST WHO IS GREATER THAN HE WHO IS IN THE WORLD.